Healthy food can make kids active and give many benefits to their growing bodies. 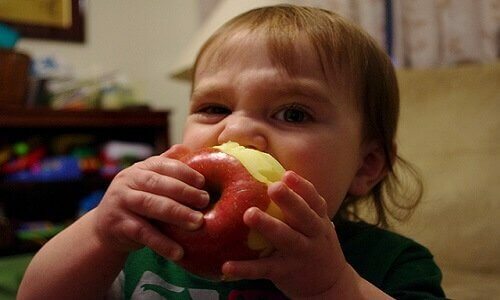 A lot of parents struggle to feed healthy food to their kids because many kids are picky when it comes to food whereas some kids are simply easy eaters. Here are some ideas which can help the parents of such kids. These ideas will help you attract the kids towards healthy food. Some kids like chips, burgers and other junk food items. If your kids also like this kind of food then be a smart parent and prepare healthier food at home. One of the major advantages of doing this is that you can ask your kids to finish their vegetables or salad before they start to have fries. Strike deals with them and ask them to finish a bowl of fresh fruit salad before they start to have a burger or a pizza. sets online. Picking out cute utensils is a great way to attract them to the idea of eating at home more because they’ll want to use their new fork and knife set. The Princess by Tomy flatware is an ideal gift for baby girls. The colorful spoons and forks of these sets feature the prints of different Disney princesses. They help the kids to eat easily. Don’t forget to check out the very pretty Melissa & Doug Sunny Patch 21 piece Bella Butterfly picnic set. This one can be a good birthday present for your kid or niece. Don’t by fresh fruits and vegetable all by yourself. Take your kids along and teach them how to pick the best fruits and vegetables. Don’t forget to tell them the benefits of each fruit and vegetable. This will make the kids more interested in vegetables and fruits. Mention the benefits of some fruits and vegetables on a piece of paper. Also, mention what they are rich in. Stick this list on the refrigerator and ask the kids to pick the vegetables having specific vitamins. This game will help them learn the importance of healthy food.